...showing the distortion of plates taken off the bottom of a ship in the early part of this year, to which perhaps a rather curious story is attached. 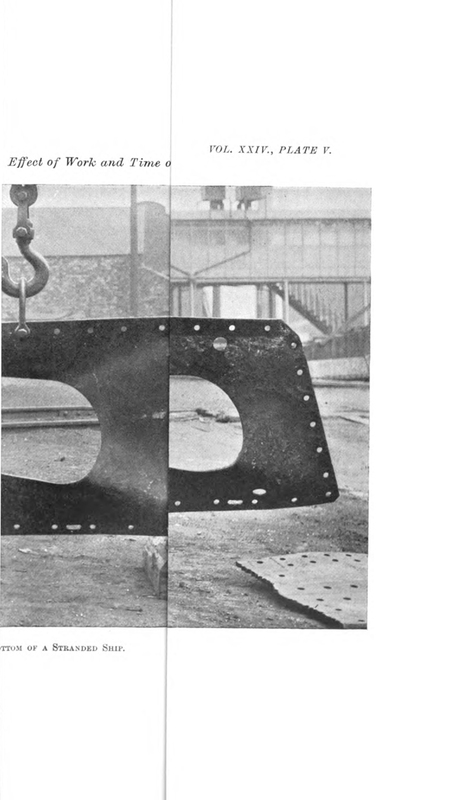 The plates were made in the county of Durham, sent into Japan, built into a ship, traded to this country, stranded at Redear, near the mouth of the Tees, was brought back to the Tyne to be repaired, and had South Durham plates put back into her. Other plates — of crumpled plates — illustrating the same article begin here.